Now bigger than ever thanks to huge customer demand, HEX Respect XL is the latest concept to enhance LELO’s luxury condom. Condoms with attitude and ready for action ! Level Delicate condoms are ultra-thin condoms with an anatomical shape, creating the perfect fit! Level popular condoms are standard condoms with an anatomical shape, creating the perfect fit! MY.SIZE is the condom brand that comes in seven sizes from 47mm to 69mm width. With MY.SIZE you will find your perfect fitting condom for a comfortable and safe feeling. These condoms are extra thin for the most feeling. 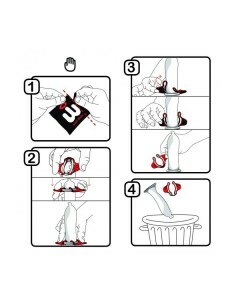 Euroglider are a standard and transparent condoms with resevoir and lube. Transparent latex condoms made of natural rubber with lubricant.